F4U, AU1 (Vought), FG1, F2G (Goodyear), and F3A (Brewster) Corsair. Re: F4U, AU1 (Vought), FG1, F2G (Goodyear), and F3A (Brewster) Corsair. I have the 1/48 Tamiya F4U-1 and 1/48 Special Hobby F2G destined for an engine swap. A bit of esoterica that may be of interest. OAL is installed length. 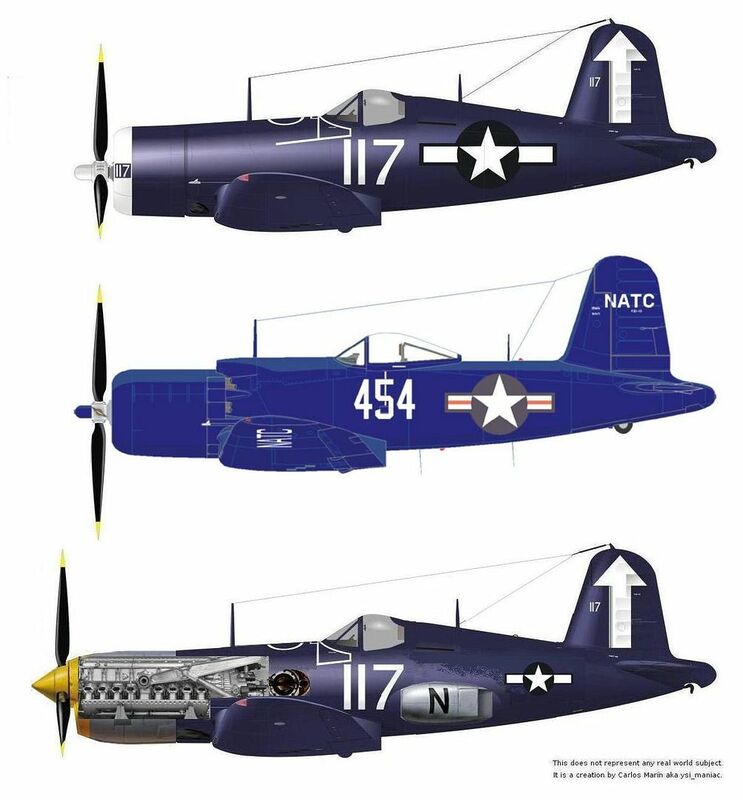 F4U-1/1C: R2800-8/8W Dia: 52.50", OAL: 88.47"
F4U-4/7: R2800-18/18W Dia: 52.80", OAL: 93.77"
F4U-5: R2800-32W Dia: 52.80", OAL: 96.5"
F4U-1(WM): Wasp Major TSB1-G (R4360) Dia: 52.50", OAL: 96.75"
F2G-1: R4360-4 Dia: 52.50", OAL: 96.75"